24 hours a day, 7 days a week in the towns of Stamford, Melton Mowbray and Corby. What size are your storage units in Melton Mowbray, Stamford and Corby? Please visit our prices page for the cost of each size and for an idea of what fits in each container. Our rates start from a very competitive £14.10 + VAT per week for a central Stamford location. See our prices page on the website for full costs. As long as it’s not illegal or dangerous and it will fit into one of our containers you can store it at Optima Self Store. We do not advise food or other perishable items, damp or wet items (make sure freezers are fully defrosted), anything liable to leak oil or other items which will stain or damage the units, as well as animals, plants etc. Our customers store a range of things including: Archive Storage, Commercial Storage, Computer Storage, Data Storage, Deeds Storage, Document Storage, Domestic Storage, Filing Storage, Full Loads, Furniture Storage, Records Storage, Sports Equipment Storage, Stock Storage, Students’ Storage, Vehicle Storage (car storage and motorbike storage), Wills Storage and much much more. You hold the key to your storage container. You can visit us whenever you like to access your secure container. We provide you with a brand new padlock and key upon registration and a key fob for main gates. We never use the same locks and keys twice so you can be safe in the knowledge that your possessions are completely safe. No there aren’t! There are no hidden surprises. You pay your first 10 days rent when you move in, along with a £25 fully refundable deposit for your key fob and high grade padlock. After the 10 days your monthly standing order commences. You need to give 2 weeks notice, in writing. Can I store long term, for example if I am emigrating for some time? Security is our top priority at our Melton Mowbray, Stamford and Corby locations. We take security very seriously and we have CCTV equipment at our Stamford and Corby sites. We supply you with a high grade padlock. You hold the key to your container and our site unlike many of competitors sites can only be access by key fob with electronic gate access. 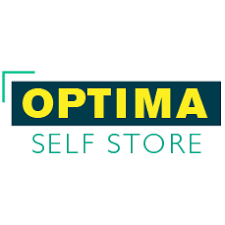 Does Optima Self Store offer services to businesses and households? Optima Self Store in Melton Mowbray, Stamford and Corby offers self storage to business clients and households alike. Business clients tend to use our secure storage containers in Stamford and Corby to store, Document Storage & Archiving, Stock Overflow, Temporary Warehousing, Machinery Storage, Tradesmen – Builders, Plumbers, Electricians, Landscapers, Carpet Fitters, Market Trader Stock, Removals – Furniture, Machinery, Equipment.